Unit10 is the name adopted by the two designers Francis Cayouette and Anne Marie Raaschou-Nielsen. Their approach to design takes into consideration the importance of feelings. Indeed, for them, good design must always evoke feelings. If not, the resulting creation will be deprived of meaning or significance. Unit10 firmly establishes itself in FDB Mobler’s line of beautiful and functional furniture of remarkable populist craftsmanship. Unit10 designers Francis Cayouette and Anne Marie Raaschou-Nielsen created the Bjørk table in 2017. 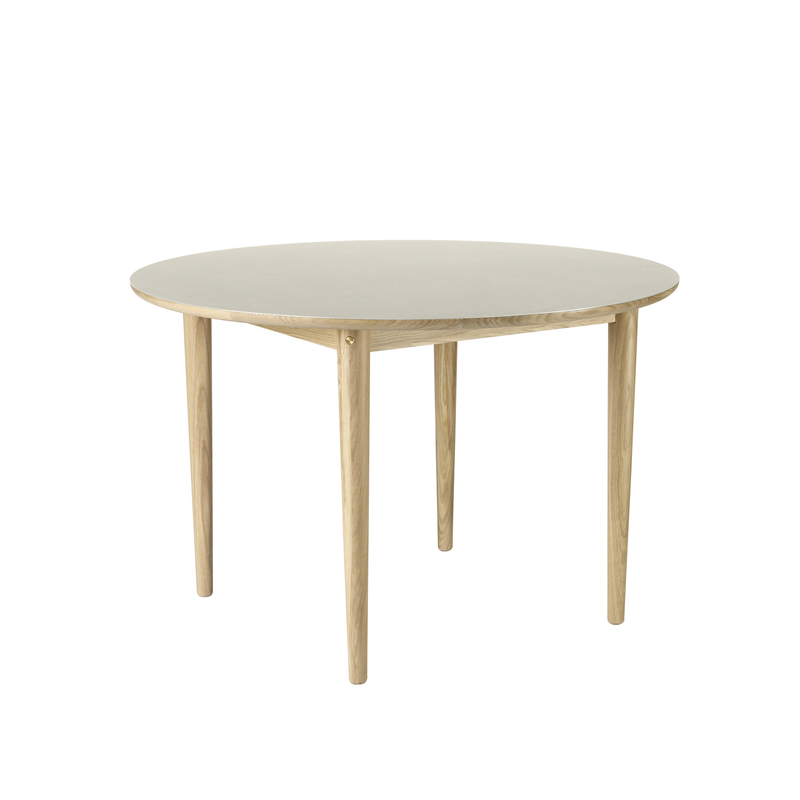 The Bjørk table, made of solid oak, inscribes itself in the tradition of Nordic furniture design. Its solid and robust appearance is offset by the elegant and rounded lines of its tabletop and four legs. Bjørk brings together three key characteristics for the designers: simplicity, functionality and tactility.